White Rock GRiP Tire is the place to go for your tire and wheel and suspension needs. The owners of White Rock GRiP Tire are certified technicians and bring you over 15 years of experience in auto repair and service. Our team of experts can help you find the tires and wheels you need as well as service or repair other components such as brakes or alignment. If you need new tires, look no further than White Rock GRiP Tire. It makes no difference what type of tire you need, we can help you find the perfect match. 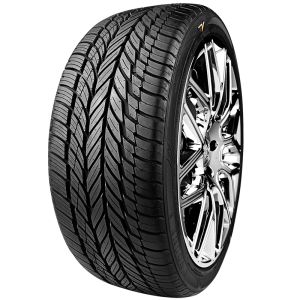 From cost-efficient tires for your compact car, to speed rated tires for your sports car to off-road tires for your truck or SUV, you will find them all at White Rock GRiP Tire. Among the brands we carry are Michelin, Firestone, Pirelli, our budget-friendly Maxxis line and many more. We also have a great selection of wheels if you want to personalize your vehicle and give it an all-new look. There is nothing worse than a tire with a slow leak except a flat tire. We can determine the reason for your tire failure and offer repair or replacement depending on the severity of the damage. Rotating your tires not only makes your ride better but it also extends the life of your tires. Your tires will be rotated when they need it and be inspected for signs of uneven wear or other problems. If your alignment is off it can make you feel like you have lost control of your vehicle. A good wheel alignment helps your tires wear more evenly and helps your steering stay on the straight and narrow. New tires do not do any good if you cannot stop efficiently. While we have your tires off we will inspect your pads, rotors, drums, brake lines and the master cylinder for any issues. Leveling kits do exactly what they say, they level the front and rear height of trucks and SUVs. Creating a level vehicle can provide room for larger tires, increase ground clearance and improve the handling of your vehicle. You also get a certified technician who will install your leveling kit and we send you on your way with a one-year warranty. We offer a variety of lift kits in both suspension and body styles. We help you move up to bigger tires to tackle tough terrain and more ground clearance to take off-roading to a completely new level. Our expert installation also comes with a one-year warranty. If it has to do with tires or wheels, White Rock GRiP Tire has the expertise, equipment and inventory you need. From new tires to lift kits, we can make your vehicle safer, easier to handle and in some cases, much more fun. If you are in the market for new tires, wheels or suspension upgrades, call White Rock GRiP Tire today. Please share your details through quote option or pop into one of our shop and meet with an advisor in person. Alternatively, email us any questions and we will reply as quickly as possible. We look forward to make your vehicle as comfortable and working as per your requirement. Continental tires: A buzz or true traction champs? Are Michelin the best tires for your vehicle?